Behold: Your new favorite cinnamon roll. 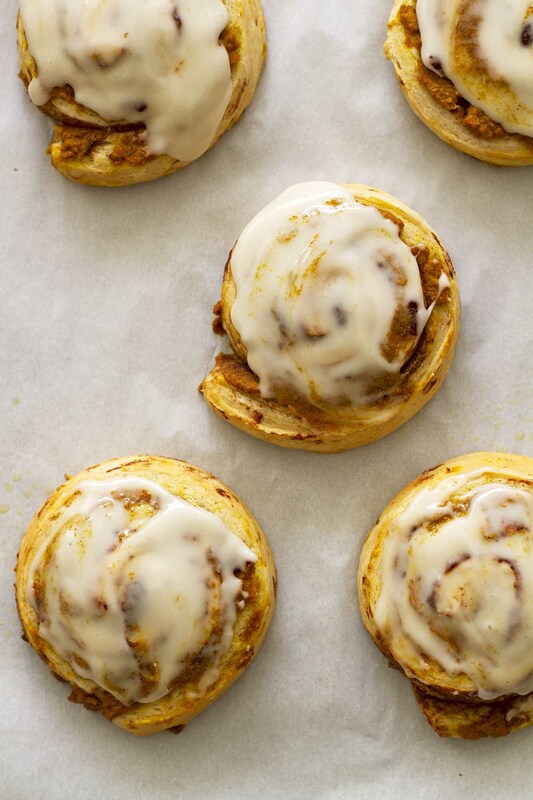 Brown butter, pumpkin, cinnamon roll ooey-gooeyness. Four ingredients to sweet breakfast perfection. 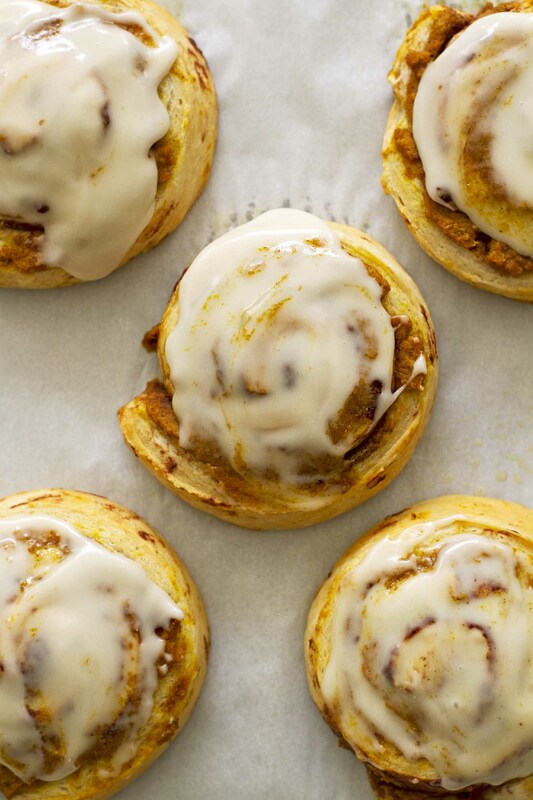 Have you ever wanted pumpkin pie and cinnamon rolls for breakfast? 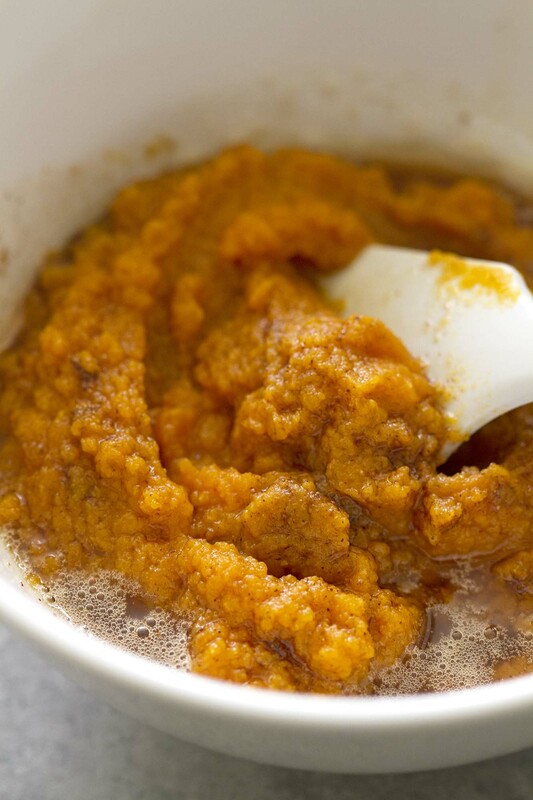 Have you ever wanted to try brown butter mixed with pumpkin and spices? Have you ever wanted to eat a cinnamon roll nearly as big as your face that contains all the flavors of fall while also maintaining its classic cinnamon roll-ness? 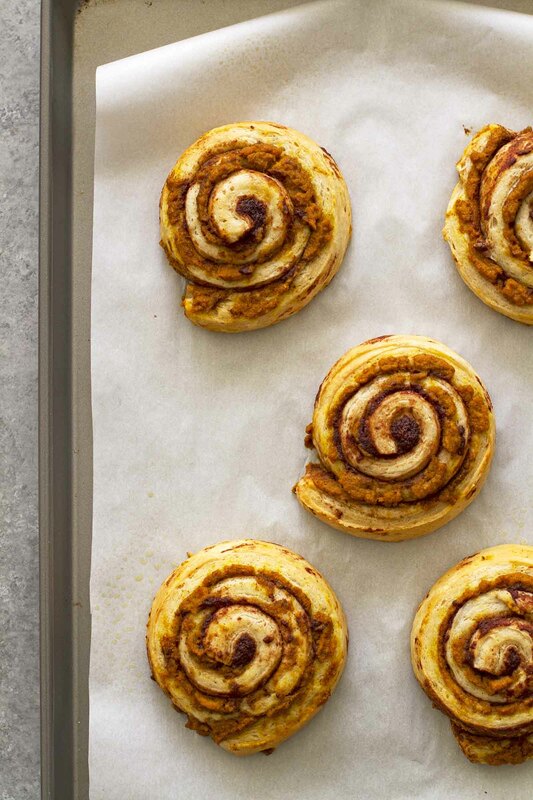 We can thank these brown butter pumpkin cinnamon rolls for giving us all of our wants and needs and more. 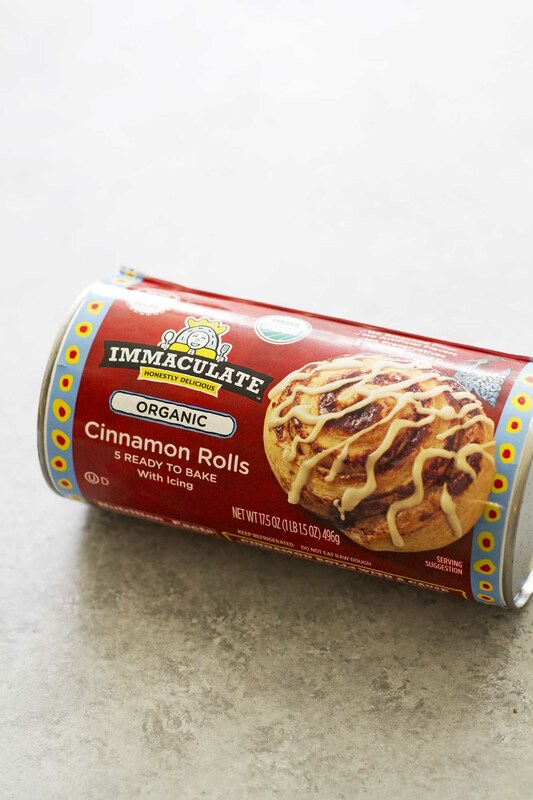 We can also thank Immaculate Baking Co. organic cinnamon rolls for cutting the prep time of this recipe in half — nay, in thirds. Because as much as I love a good homemade cinnamon roll, IBC’s are also incredibly good and taste just like the from-scratch varieties and take only a fraction of the time to prepare. And they also happen to hold up very well when filled with pumpkin, pumpkin pie spice and brown butter. If you’ve been a longtime reader of this blog you may be saying to yourself, “I think I’ve seen this brown butter situation before,” and friend, you are very correct. Because I cannot live without it. And if you’ve never tried it, I might gasp in your face and then implore you — nay, BEG you — to drop everything and try it. It takes butter to such a level of deliciousness, you’ll want to put it in everything from then on. Clearly, I don’t blame you. Such was the case with these cinnamon rolls. I planned to fill them with a pumpkin pie-like filling, but when the opportunity arose to include brown butter as well, I pounced on it. And I’m so glad I did. 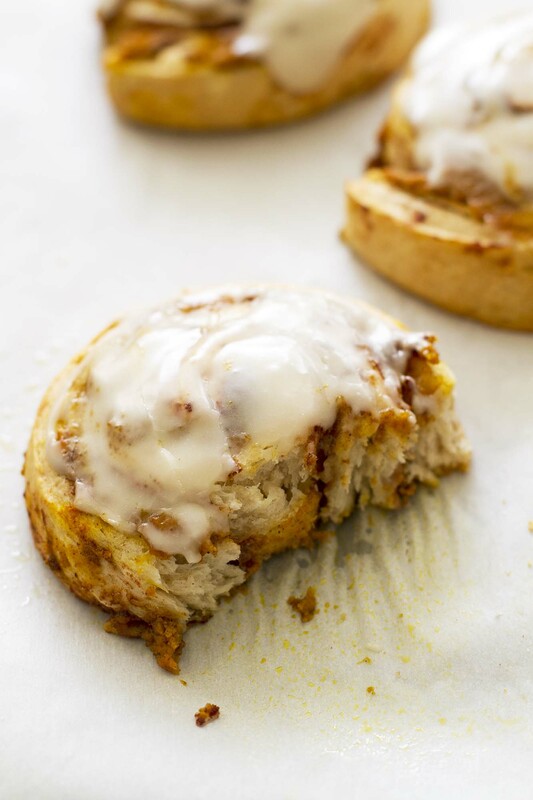 Because while I love the pumpkin-y goodness of these ooey-gooey sweet cinnamon rolls, the brown butter shines through all of the flavors. And all of it together is just about the best thing ever for breakfast. You can ask my two-year-old, who devoured a roll that’s actually bigger than her face in 5 minutes flat this morning. Or my own currently very full and happy belly. 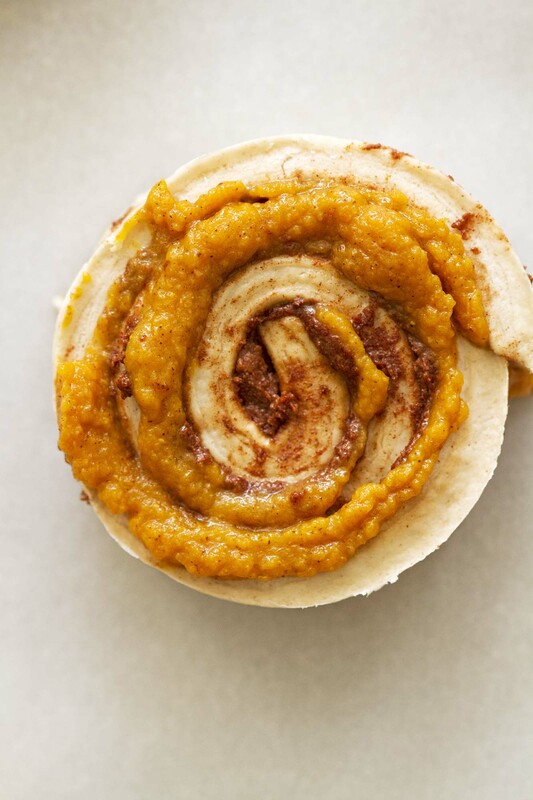 In a world that may otherwise seem pretty jaded and disorderly right now, we can take some comfort in knowing that you can, in fact, have cinnamon rolls and pumpkin pie (and brown butter) for breakfast at the same time. Heat oven to 350 degrees F. Line baking sheet with parchment paper; spray lightly with cooking spray. In small saucepan over medium heat, melt butter. Continue to cook, stirring constantly, 2 to 3 minutes until browned and fragrant (it should smell nutty). Immediately pour butter into small bowl. Stir in pumpkin and pumpkin pie spice until combined. Unroll dough in 1 sheet on work surface. Spoon and spread pumpkin mixture evenly over dough. Reroll dough and separate into 5 rolls. Place rolls 2 inches apart on prepared baking sheet. Bake 18 to 22 minutes until golden brown. Cool 5 minutes on baking sheet. Cut one corner of icing packet and squeeze icing on warm rolls. nothing wrong with a little help on saturday mornings! and what would life be without brown butter?? Oh my, but these sound so wonderful! You had me at brown butter (and pumpkin!). Love these rolls! I love the combination of flavors in these rolls! I need to try them! Adri — Thank you so much! Rachel — Thank you, lovely! Miranda — You do need to try them! 🙂 Thanks!